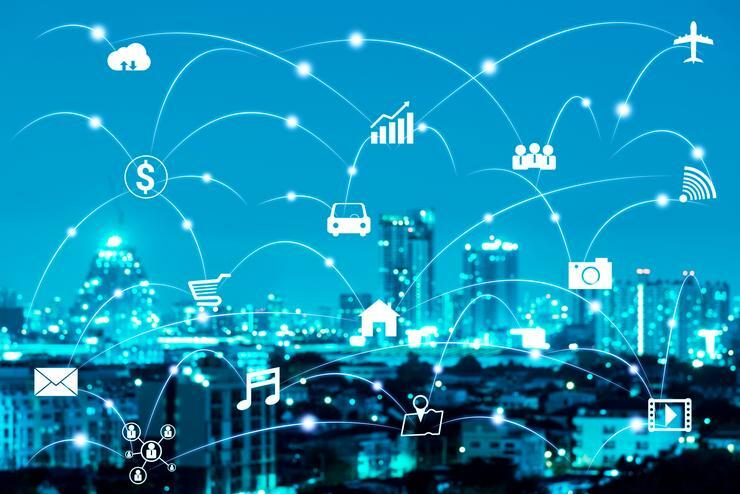 IoT is the latest buzz topic that is spreading like wildfire, almost everywhere you look someone else is discussing IoT and what it is going to mean for us as a society, the benefits that it can bring but what about the negatives? I do not want to be the bearer for the bad news but IoT is going to be your biggest nightmare. I bet many of you are sitting there reading this and you are thinking how is IoT a problem? Well, let us look at IoT in our society today and then what it may look like in a few years time. What are the IoT devices that are out there now? They are starting to pop up in places you would not believe with smart cities with sensors in the asphalt, in all of the traffic lights and streetlights. We have sensors that tell you when it is raining, when it is too hot, sensors counting cars on the roads to help adjust traffic speed from real-world data almost in a live feed. Maybe even parking sensors in parking lots that can tell the operators exactly how many spaces are empty and how long people are staying (not just the total numbers but a visual indication of which parks in the complex are free at any given time. Then we can start to consider the actual vehicles on the roads, especially as they start to become more autonomous and communicating with each other in a sort of ecosystem that will I believe in the end erase the need for traffic lights and traffic signs as the cars will just negotiate and work around each other to achieve the best results. They won’t crash into each other just time the pass perfectly and continue on their own paths. They will be more efficient and will probably reduce the level of crashes (if not eradicate) on our roads as humans will not be in control anymore. This might take some time before we let go of full control but it is certainly a future that is only a matter of time (personally I think It will ruin the pleasure and art of driving – I love cruising down a highway in an old school classic car – V8 purring and some great music – but we will all have to get with the times as this future is forced upon us). Maybe we won’t be on the roads and some of the flying autonomous vehicle start-ups will all get to the stage in which they will have an affordable and reliable option for everyone (to be honest I am a little excited about this one – I will be happy to sign up for one of these especially if it could make interstate travel faster and more readily available at minimum cost) I believe that this will reach the masses when one of these would cost the price of say a good quality SUV in today’s terms (Happy to test one out if anyone of my readers is one of those start-ups mentioned above, pretty please J). Okay so I admit, I got a little sidetracked but if all of a sudden there was thousands of these flying vehicles buzzing around our skies and possibly landing on the tops of our city buildings (instant image of “the Jetson’s” popped into my head) they would likely all be communicating and transmitting a massive amount of data through this ecosystem, we call the Internet of Things. What about our homes, we will have fridges, tv’s, lights, door locks, maybe sensors in our grass or in the gardens all connected together telling us how our home is what we are doing and probably starting to predict what we will need and just buying it for us (I think AI purchasing will only be a matter of time if it is not already being used by some of those smart fridges you can see in homes these days). Now as far as the IoT ecosystem goes I think that the best way to think about what will be is that within a few years everything will have some sort of sensor with it, packaging at the shops will probably have sensors to help us know the most accurate “Best before Date”, shoes, possibly even our clothes so we can monitor our temperature and other health factors constantly. IoT will quite literally be everywhere and I do not think we could stop it now even if we wanted too but there is a massive problem that many do not even consider when creating these devices/sensors. Can you guess what that is? They are all going to be HACKED. (Probably not by me but they will be) This is not a prediction, it is already happening now. If you look at many IoT devices security is not even really a consideration, if we are lucky some may have a half-hearted attempt at adding some basic protections (which are probably little better than a device without it). This is not just about fridges or fish tanks anymore these devices will infiltrate our entire lives, monitor our health and could have a dramatic effect if taken over by a malicious actor. They could lock down cities, cause complete gridlocks or just grind our lives to a halt. What about when malicious actors collect an army of IoT devices and use them for targeted attacks on our networks or critical infrastructure. Combine a group of a few billion IoT devices and it could be unstoppable. It's actually mind-boggling just to think what could be capable if such a large-scale IoT zombie network could be built, could we really do much to withstand an attack of such magnitude. We need to fix the current attitude that mass-produced sensors or other IoT devices do not need security. I know that many IoT sensors are low-cost devices and it will inhibit the use by adding security to them because of its increased cost to develop but it is important. Charge a bit more for these devices, the benefit of improved security will outweigh the possible $1-$2 increase in cost. If we do not as a community come together and take control of the Wild West that we call IoT in today's environment, we will have no control. If that is the path, we are going to take, we might as well just pull out our firewalls and other security protections and just let the malicious actors in. if there are no secrets then we do not really need any protection for it (Please don’t take that option). There are already some organisations out there that are already working on this problem like IoTSec Australia but the cogs of change are very slow and we need to find a way to move this along at a speed that can cope with the avalanche of change that we are seeing with IoT. So how do we protect these devices and make them more secure I don’t have that answer but it is clear that if we don’t find a way we will have a pretty dark future that is for certain, so lets pull together and make a plan to fix this nightmare so that IoT will be something that is beneficial for us all and not the reason for our downfall. Bring on some government regulations for IoT (I never thought that would be something I would encourage) and force a change that will be a benefit for us all. As always disagree with me, tell me what you think and let's start to talk about real-world solutions for some of the issues that face our society (at least as far as cyber goes anyway).